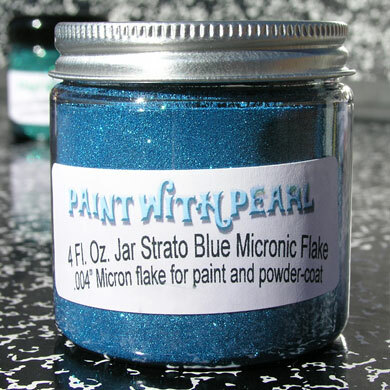 Strato Blue Metal flake available in 3 Sizes, Micro .004″, Mini .008″ , and Bass Boat .015″ 400 degree temperature threshold. Available in 4 oz. Jars or 1 lb. Bags. One 4oz, Jar or choose 1 lb. of Gold Green Blue Kameleon Flakes. Change Color with light and direction.